Desktop Label Printers are intended for use in mid-volume industrial, commercial and healthcare environments. Examples of these include Zebras GX and ZD500 which provide fast print speeds and a variety of useful extra features. Desktop Label printers are recommended for high resolution label printing, light manufacturing, retail inventory labelling and receipt printing. Commercial Label Printers are used in heavy to medium label printing environments. These can usually hold a larger roll of stock and can therefore print a larger number of labels at one time than a desktop label printer can. Examples include the Primera LX-2000, LX-400 and LX-900. These are generally used in industries such as packaging, manufacturing, retail and logistics. Industrial label printers are used in heavy-duty, high demand industries such as inventory management, asset management, docking management and cross docking. 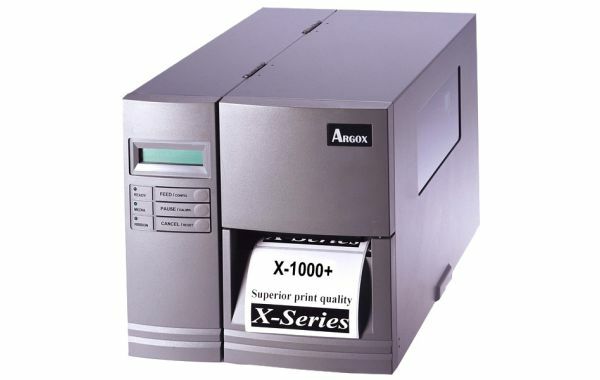 Examples of industrial label printers include the Argox X-1000V, X-2000V, X-2500 and G-6000. These label printers are designed to withstand the harshest environments including distribution centres and factories. Heavy duty Industrial label printers can vary in their printing speeds from 2-4ips up to 8ips’s. It is therefore important to decide how quickly your business will need labels printed so that the distribution cycle is not delayed. There are also portable industrial printers available which can be used on construction or mining sites and transported again when need be. In these cases there is often one central printer that programs label information and shares this across various locations. This saves time and money and assists in quality control as business’s do not have to rely on managers in remote areas to program the information into the label printers. If you are not sure which label printer to choose, have a look at our Buying Guide for Label Printers to find the information you need.